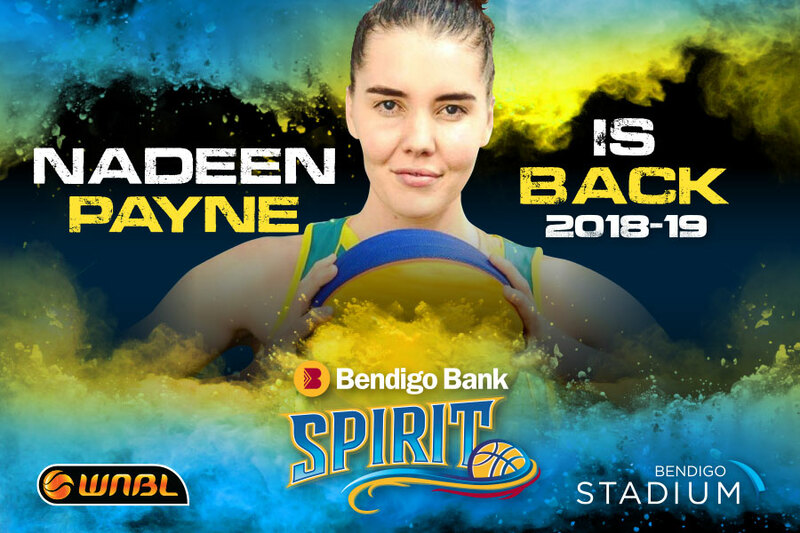 The Bendigo Bank Spirit has secured rising star and reigning club MVP Nadeen Payne for the 2018-19 WNBL season. That confirms Nadeen will stay in Bendigo this season, and reaffirms her commitment to the Bendigo program. Coach Simon Pritchard was excited to have the fan favourite as a certain starter this year. “The emergence of Nadeen as a genuine WNBL star last season meant she was a priority signing,” he said. “She is another success story for our program and that’s why it is vital we retain her. Nadeen’s shooting range for her size is unique, her great game understanding is a huge plus, and she has the ability to make those around her better. “We think an Opals call up is just around the corner for Nadeen, after her fantastic improvement last season. We look forward to continuing to steer her career in that direction. Nadeen signed with the Bendigo Braves for the current SEABL season, and won the league Player of the Week in Round One, with 37 points in a stellar display. She said she couldn’t wait for the season to begin. “With Simon, the team he is putting together, and the new Bendigo Stadium, why wouldn’t I stay,” she said. “Signing with the Braves as well has given me the stability of staying in one place, which I love.